John Sidney Carter was a painter when he first became a member of LSA. He was a also an apprentice industrial designer with local company, Slaters, and a part time student at Leicester College of Art and Design. “It was our boss at Slaters who sent us off to study at the College one day a week, who insisted we kept notes and sketches of everything we did, and who gave us the opportunity to learn lots of different skills. It was the best training we could have had, better than any art school’’. After completing his apprenticeship and doing two years National Service, John returned to Leicester and launched his own industrial design company in Foxton where he now lives. 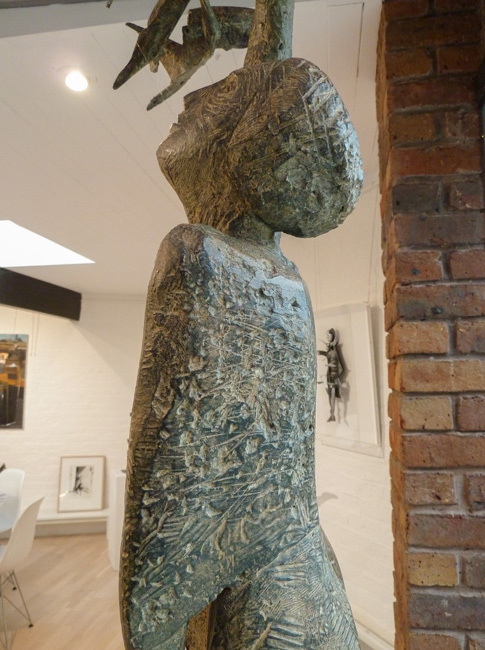 Although he worked in two dimensions, John felt that three dimensional work came to him naturally, and he decided he wanted to concentrate on sculpture. Having enrolled at the Frink /School of Figurative Sculpture, he found it gave him the freedom to pursue his own ideas, but also that, with his experience, he could help with structural pieces too. He was made a Fellow of the School, and later became a Fellow of the Royal Society of British Sculptors (FRBS) and also of the Chartered Society of Designers. In 2008 he was awarded an Honorary D Litt by the University of Leicester. Before he left the Frink he had already won two public commissions, one of which was for P & O shipping line who wanted a sculpture for their base in Carlton House Terrace in London. Spiral Form gave its creator the opportunity to combine three themes which have recurred throughout his career – the sea, the power of machines and the human form. 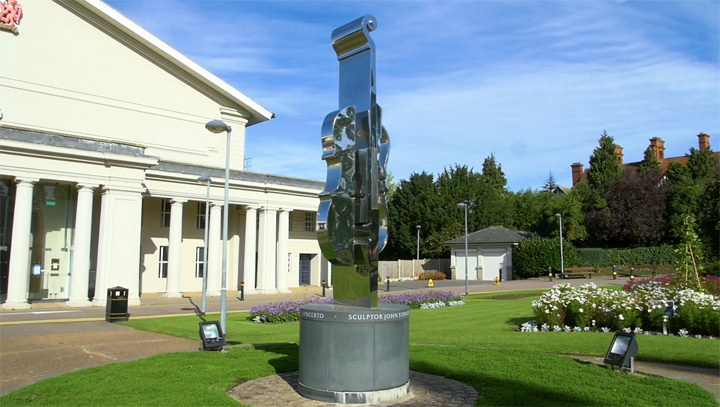 The sculpture, a towering seven - metre piece in polished steel, was unveiled in 1999. 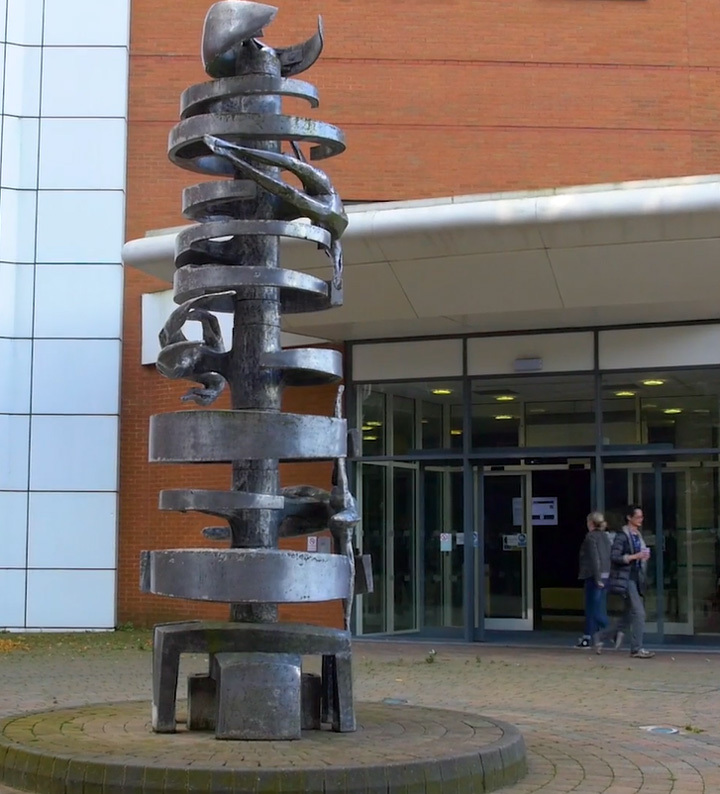 Later, when the building changed hands the sculpture was donated to the University of Leicester where it enhances the entrance to the medical school’s Henry Welcome building. 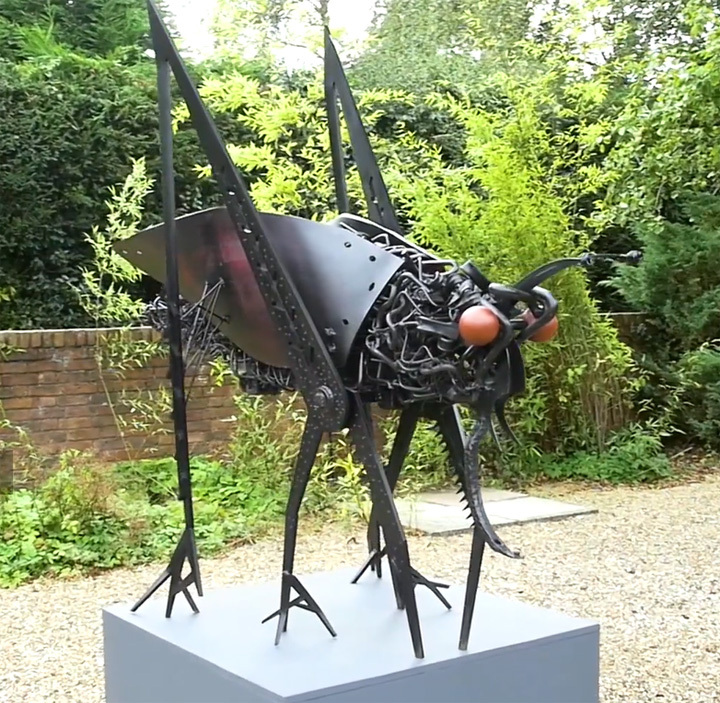 More recently, he was commissioned by the Friends of New Walk in 2009 to design a sculpture on a musical theme. His Concerto now stands outside the De Montfort Hall where it is admired and appreciated by concert goers of all ages. 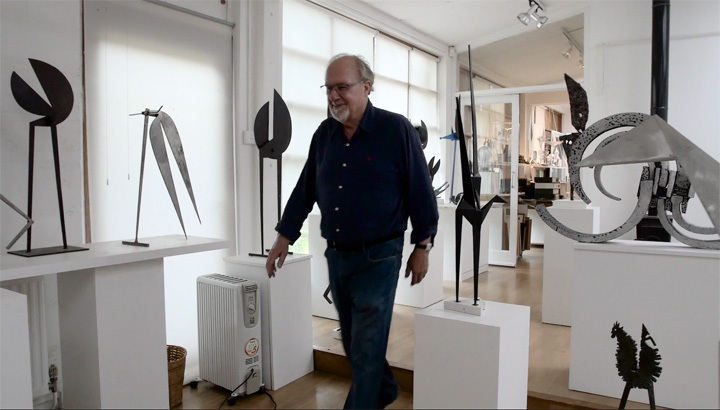 Some sculptors produce maquettes of their designs, then have them made up by other people. John, who has his own forge and plasma cutter, prefers to produce his own designs. 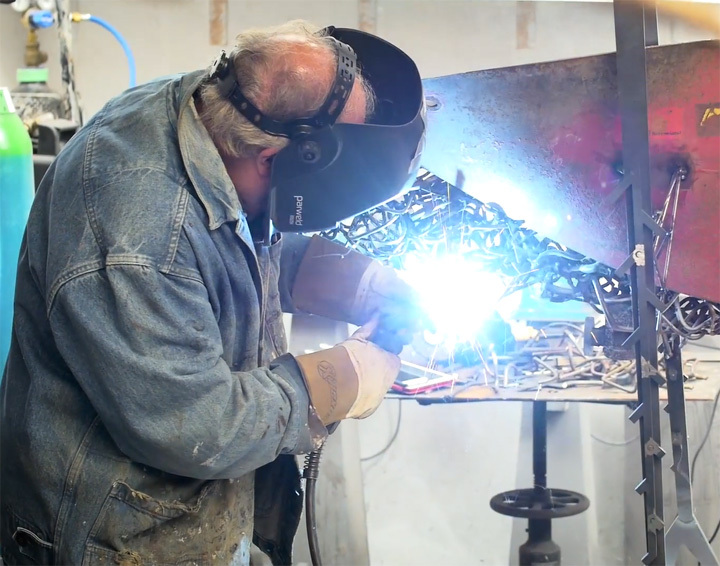 Metal is his favourite medium, and even though welding is physically demanding, he relishes the challenge of working on very large pieces. “I prefer to work in the mornings, for three or four hours at a time. Often I’m working on several pieces at once. I can work on something, then leave it and go back to it later. 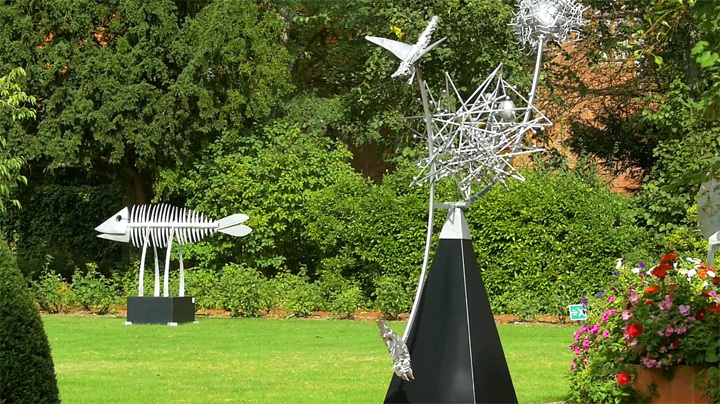 Never short of ideas, John is happiest doing his own work, but a new challenge came in 2009, when the Vice Chancellor of the University of Leicester invited him to be the Curator of the annual exhibition of sculpture in the Botanic Gardens in Oadby. 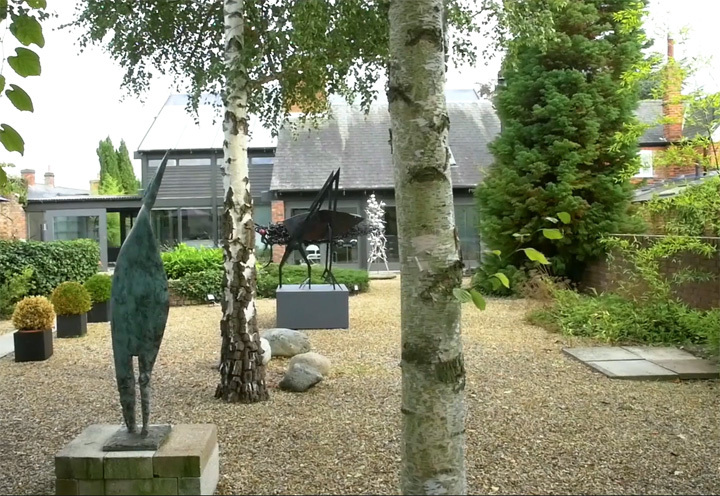 Critics pronounced that exhibition “the best yet’’ and John curated the annual exhibition in the following year and again in 2011, under the title A Decade of Sculpture in the Garden. 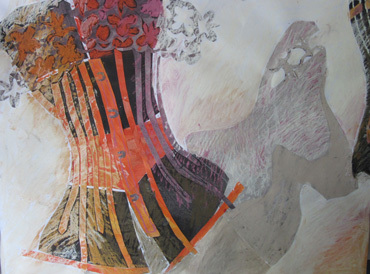 It was a successful international event, with work in wood, metal, stone, plastic and fabric from artists in Europe, Iceland, and America, as well as from Great Britain. 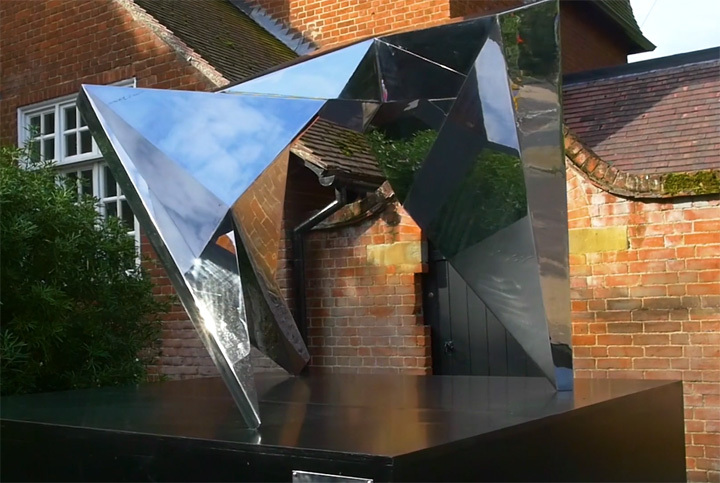 Among exhibitions of his own work, 2016 saw 13 major pieces on display in the Garden of Clare Hall in Cambridge. This led to a commission for a sculpture to stand in nearby Herschel Road. 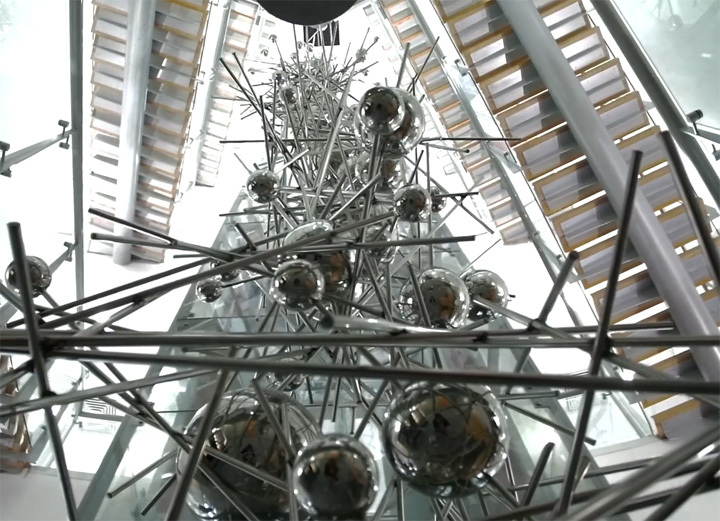 'Triangulum' is made in stainless steel and pays homage to the astronomer Frederick Herschel who lived nearby. John explained: “Inspiration came from the three galaxies and Herschel’s own work. 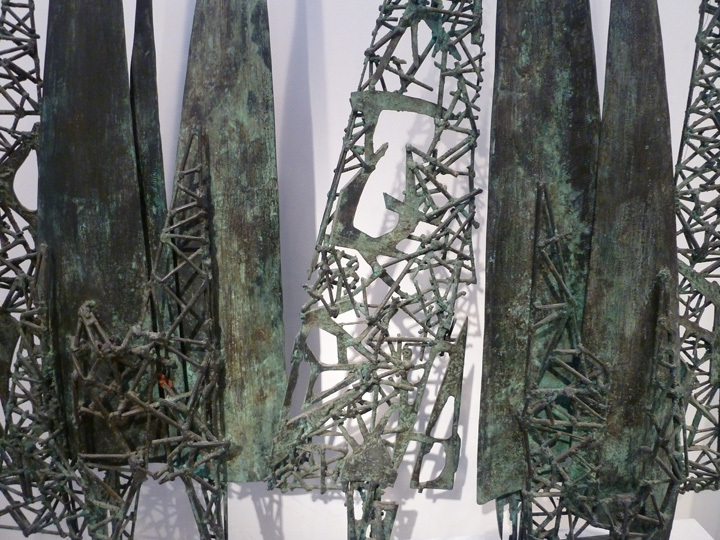 The sculpture reflects the many triangular forms in Clare Hall’s own building, and represents the three main groups at Clare Hall: the students, the visiting Fellows and the Life Members. 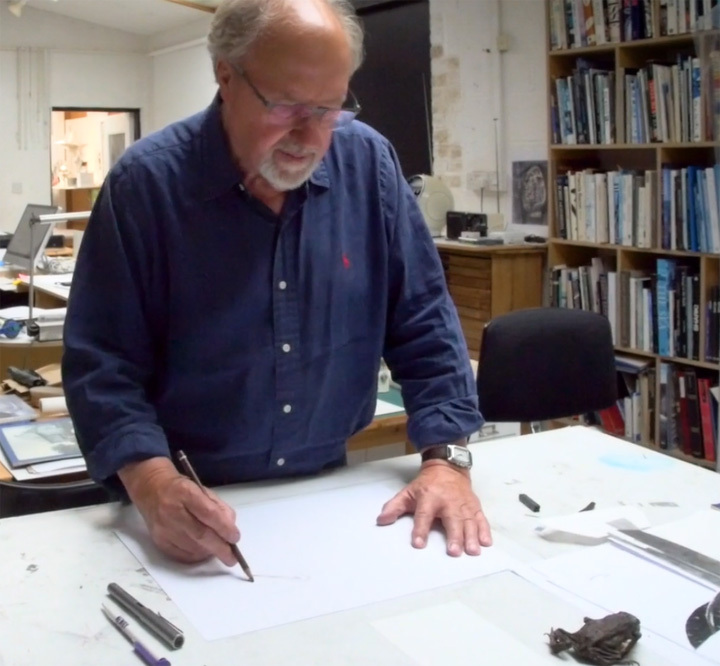 “Of course it is great to be commissioned to produce a work of that size and importance, and you have to be totally focussed on what you are doing. 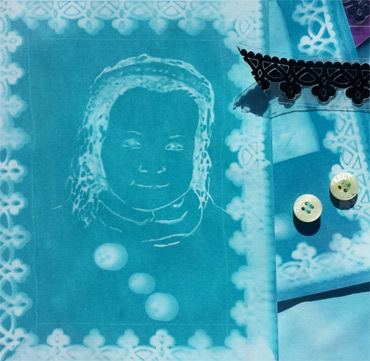 I love that, but I enjoy whatever I am working on, large pieces or small - they are all very satisfying to achieve." I love Johns work, i was fortunate enough to be the skilled moulder who made the individual pieces for 'Spiral form' when i worked with Glenmore Foundry, Thurmaston, Leic. in 1999.